Who lives in a pineapple under the sea? 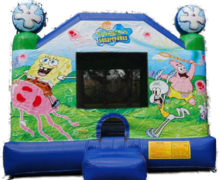 Now YOU can bounce with your favorite Nickalodeon charachter SpongeBobSquarePants!! Sponge Bob, Patrick, Gary, and Squidward invite you to have the best party under the sea, with the SpongeBob Moonwalk! 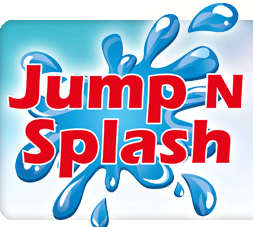 This moonwalks is great for kids, big and small, and even adults! Serving Houston and surrounding areas.